As part of her production project, DJ Shakey, hosted a multi-room, multi-media performance gala at the Clocktower Gallery January 12, 2012. Over 24 artists occupied 8 spaces for 3-plus hours illuminating the theme of alternative controllers for electronic instruments both audio and video. This program highlights the set played by No Use For Humans that night. 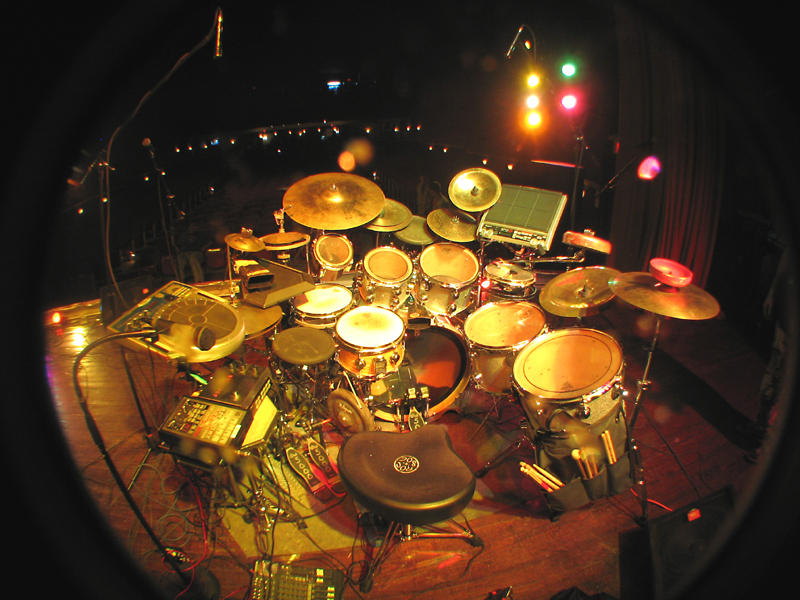 NUFH is the project of drummer Steve Honoshowsky and various collaborators. Honoshowsky has experimented with a wild and creative variety of percussion and drum setups, both acoustic and electronic, and continues to evolve and surprise.